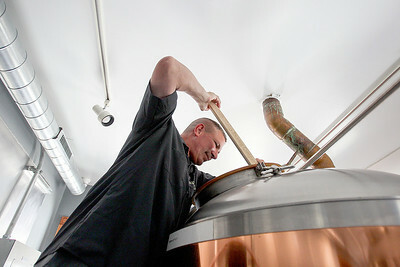 Sarah Nader- snader@shawmedia.com Curt Ames, owner of Chain O'Lakes Brewing Company demonstrates how he makes beer at his McHenry brewery Friday, May 30, 2014. Sarah Nader- snader@shawmedia.com Curt Ames, owner of Chain O'Lakes Brewing Company shows where he's going to plant a time capsule in the foundation at his McHenry brewery Friday, May 30, 2014. 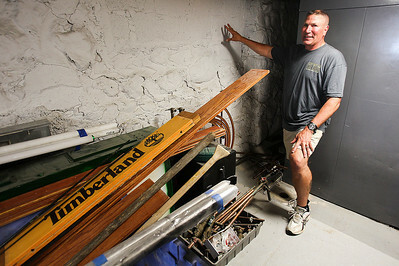 The building was built in 1868 and at one point during the Prohibition was connected through a tunnel across the street to a speakeasy. Sarah Nader- snader@shawmedia.com Curt Ames, owner of Chain O'Lakes Brewing Company demonstrates how he makes beer at his McHenry brewery Friday, May 30, 2014. He's planning to release a special beer, "I'm Bock" this season. 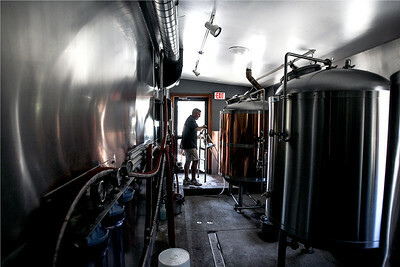 Curt Ames, owner of Chain O'Lakes Brewing Company demonstrates how he makes beer at his McHenry brewery Friday, May 30, 2014. He's planning to release a special beer, "I'm Bock" this season.